Cotter, James Finn. 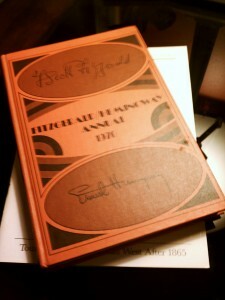 “A Source for Seymour’s Suicide: Rilke’s Voices and Salinger’s Nine Stories“. Papers on Language and Literature: A Journal for Scholars and Critics of Language and Literature: 25.1 ( 1989 Winter), pp. 83-98. J. D. Salinger’s short story, “A Perfect Day for Bananafish,” employs the traditional device of a surprise ending. Seymour Glass returns to his Miami hotel room, glances at his wife asleep on her bed, takes from his luggage a heavy-caliber German automatic, sits down on his bed, looks again at Muriel, and fires a bullet through his head. Cotter, after giving a laundry list of possible explanations for Seymour’s suicide, including theories as wide-ranging as sexual frustration to the fulfillment of nirvana, examines the influence of Rilke’s poetry. He starts with “Bananafish specifically, noting that several previous scholars have also pointed to the likelihood that the German poet Seymour refers to in “Bananafish” is Rilke. He compares “Bananafish” to “The Song of Suicide” noting parallels and suggesting connections that include a concentration on materialism, especially connected to the stomach and with “hunger”. Cotter then expands his analysis to include the other Voices, which as he notes also contain nine items, (ten, with the addition of a title page) and their connections to Nine Stories. Bryan, James E. “J. D. Salinger: The Fat Lady and the Chicken Sandwich.” College English 23.3 (1961): 226-29. Print. Critics have rightly complained that J.D. 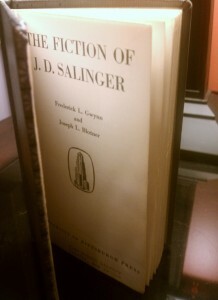 Salinger’s “Glass family chronicles” [citation omitted] lack the superb poetry and economy of his Nine Stories period. However the garrulity of Salinger’s recent narrators provides a not unwelcome annotation of symbolism and underlining of theme which can often serve as a reference to the interpretations of earlier stories. “Just Before the War with the Eskimos” appeared in the June 5, 1948 issue of The New Yorker and was reprinted in Salinger’s 1953 collection Nine Stories. Ginnie Maddox: A young woman of 15. She has been playing tennis with Selena for at least five weeks. Selena Graff: Another young woman, whose mother has pneumonia. She is also 15 and has a brother named Franklin. Franklin Graff: Selena’s Brother, Franklin is 24 years old and has not gone to the war due to his being classified 4-F for a bad heart. He has been working in an airplane factory. Eric: Franklin’s friend. Eric has an effeminate personality and has been living with a writer. Ginnie Maddox and her classmate Selena have been playing tennis for several weeks. Though Selena always brings fresh cans of tennis balls, she never contributes to the cab fare. Ginnie becomes annoyed and insists that Selena reimburse her the cost of the cab fares she has paid. Selena tries to explain to Ginnie that her mother is ill and she could give her the money in class later, but Ginnie becomes insistent and waits for Selena to go upstairs and retrieve the money from her mother. While she waits, Ginnie talks with Selena’s brother Franklin whose overall physical demeanor she finds repulsive, and who is 4-F status and has been working in an airplane factory for the past few years. Franklin has cut his finger and is working to heal it while he talks with Ginnie. He offers her a half of a chicken sandwich, then dashes upstairs to finish getting ready. As he goes upstairs, Franklin’s friend Eric arrives. Eric and Franklin hare plans to go see Cocteau’s Beauty and the Beast, which Eric thinks is magnificent; he also admires Ginnie’s camel’s hair coat, and talks at length about his roommate, who is a writer. When Selena finally returns with the money, Ginnie tells her to keep it and suggests she might come over later, even though she had previously indicated that she had plans for the evening. On her walk home, she takes the chicken sandwich half out of her pocket, but decides against throwing it aaway, noting how it had once taken her three days to discard a dead Easter chick. Greiner, Donald J. 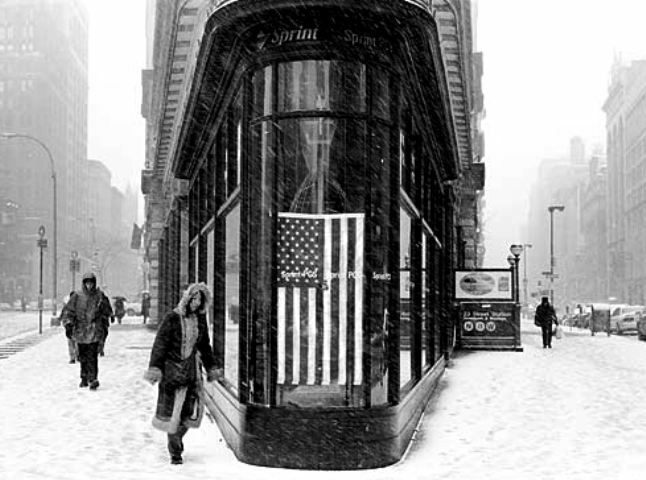 “Updike and Salinger: A Literary Incident.” Critique 47.2 (2006): 415-30.Literature Online. Web. 17 October 2009. 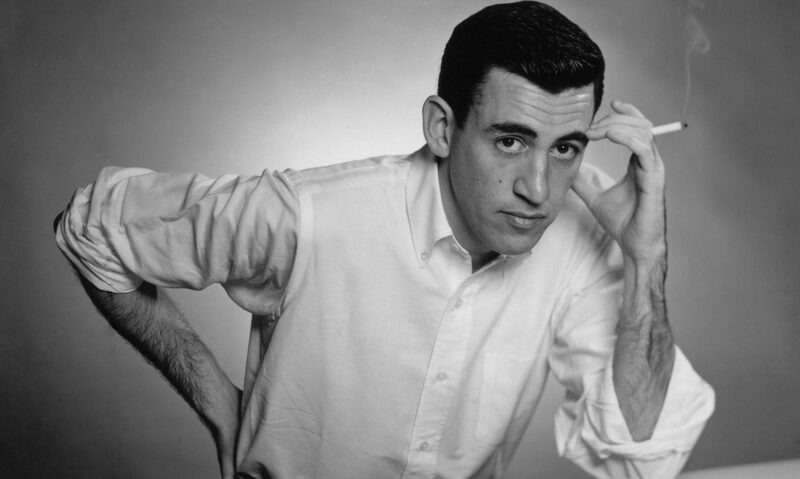 Greiner’s article analyzes the early effect that Salinger’s fiction had on John Updike. 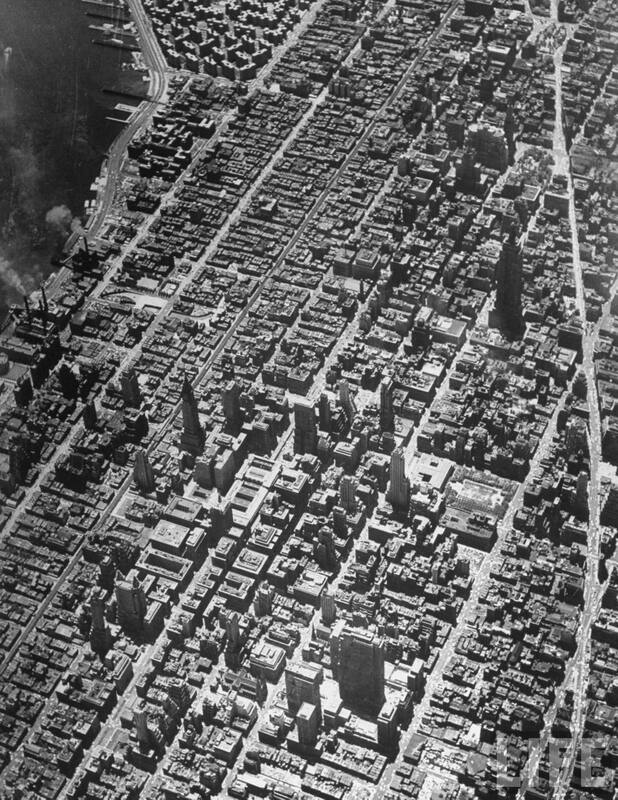 Updike sincerely seemed to admire Salinger’s earlier pieces, including, notably, “Just Before the War with the Eskimos.” Updike’s view on Salinger’s later fiction, was of course, much less positive. 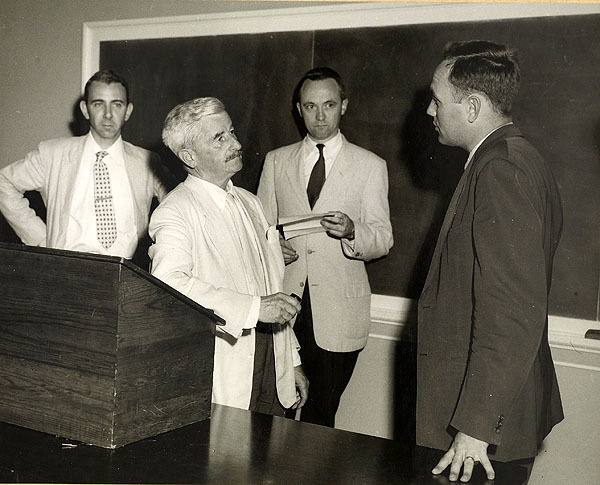 Greiner also suggests that since Hemingway and Faulkner’s careers were near close, the literary reputation of America was of concern to a Cold War Era literate populace. Greiner indicates that Salinger had the ubiquitous distinction of being the preeminent literary figure poised to fill the void left by these Modernist literary giants. Greiner suggests that 1948 was a banner year for Salinger, but that, by the 1960’s his decreased publications and his own devaluation of his early work (by not choosing these works to be collected) led Updike to take his place as the favored writer of The New Yorker. Gwynn, Frederick L. and Joseph L. Blotner. The Fiction of J.D. Salinger. Pittsburgh: The University of Pittsburgh Press, 1958. Print. Frederick Gwynn and Joseph Blotner’s slender volume of commentary addresses the bulk of Salinger’s oeuvre. The body of the book is divided into three convenient sections and seven sections in total comprise the work. The introductory section details the prevailing critical responses to Salinger’s work. They briefly describe the critical stance of critics Heiserman and Miler, David Stevenson, Ihab Hassan, Leslie Fiedler, Donald Barr, William Wiegand, and Maxwell Geismar, though they do not engage with their theoretical stances in the introduction. Gwynn and Blotner also identify “For Esme-With Love and Squalor” the “high point of Salinger’s art” (for more information, see the “For Esme…” readers guide).